the size and pricing of the TideSlide that is right for you. secured, each TideSlide unit employed should exceed overall vessel weight. 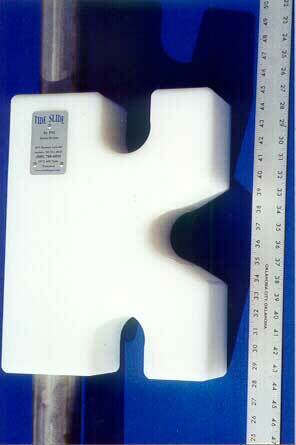 Example: 4 Heavy Duty 1" TideSlides will secure a vessel up to 12,000 lbs. Ideal for any size up to 30 foot boats & yachts! Ideal for 25 to 38 foot yachts! Ideal for 30 to 50 foot yachts! Ideal for 40 to 65 foot yachts! Perfect for 50-90 foot yachts or up to 125,000# or 50 tons! Ideal for 80-140 foot yachts up to 250,000 LBS! *CS Series- Commercial Class (3" solid SS Shaft) for yachts, ferries and ships #500,000 and up. *TideSlides are offered in shaft diameters from 1" to 24" and lengths to 60 feet. *Call for pice and availability.